No matter what the natural disaster is, it is always concerning for your area to be affected. Storm damage by a hurricane is especially troubling, because it causes such an extensive amount of damage to your home and your personal belongings. Hurricanes feature high-speed winds of at least 74 miles per hour, intense precipitation, and massive amounts of flooding. Trees may become knocked over and fall onto your property. The heavy rainfall and floodwaters cause severe water damage that will likely also lead to mold growth. If you’re a business owner, then you also need to be concerned about the state of your commercial property. Not only is it the place you make a living, but it’s also the place where your employees work and make their own livings. Because of this, you may feel even more inclined to get your property restored and the business running again to minimize the work and revenue loss for all involved. However, as with any disaster, safety must always be prioritized, which means you need to get your property restored properly. When your business has suffered hurricane damage, you’ll want to get the restoration process started as soon as possible. This will limit the amount of damage done to your property, get your business back up and running sooner and, ultimately, save your company money on repairs and lost revenue. However, the amount of damage may leave you overwhelmed and unsure of where to start. Refer to the following information and use it as a guide to help you through the restoration process of your business after experiencing hurricane damage. After prioritizing yours and everyone else’s safety, the first thing you should do in the aftermath of such a disaster is contact your insurance company and let them know of the storm damage. The sooner you contact your insurance provider, the sooner they can help you out. However, working with insurance can often be a long, stressful process, which makes it even more imperative that you call your insurance provider immediately. Hurricanes can cause various hazards on your property, and some of them may not be visible or noticeable to the untrained eye. Even if your property looks safe once floodwaters recede, that isn’t necessarily the case. The water may be contaminated with toxins and sewage that can cause you serious health concerns. There could even be a gas leak. The building’s structure itself might be too unstable, making it too dangerous for anyone to enter the property unauthorized. No two natural disasters are the same, so they all have their own hazards. As such, do not reenter your property until a professional has deemed it safe to do so. If you’re allowed to go back into your property, you should always wear safety gear to protect yourself. You don’t want to risk harming yourself from any debris or other dangers potentially still present in your business. Cover up exposed skin to limit the chance for any cuts and infections. Wear closed-toed shoes, gloves, and a face mask. 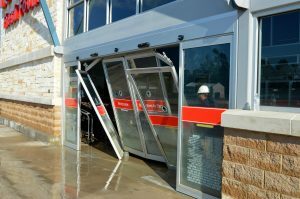 As you make your way through your commercial property, pay close attention to all the damage. 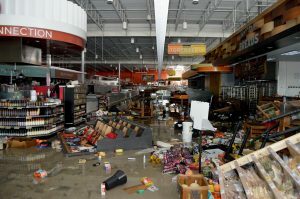 It can be rather overwhelming to see your business in such a devastated state, but it is important to know the extent of the damage in order to have the place restored. Take photos and videos of the damage and take detailed notes. You will need to provide your insurance company with evidence of the hurricane damage, and this is a good way to complete that task. If you notice that you have unharmed items in your property while you inspect for damage, it is imperative that you gather them all and remove them from the property. If you allow the unaffected belongings to remain in the property, then you risk allowing them to become damaged. Hurricane repair and restoration is already costly as is, so the last thing you want is to have to spend more on restoration and replacements. 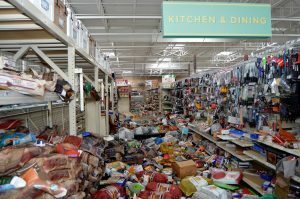 Store these items in a safe place away from your business where they can remain until the restoration has been completed. To ensure that storm damage repair is done correctly and efficiently, you need to contact a professional restoration service for help. At ServiceMaster Restoration and Cleaning, we can help storm-damaged businesses recover from hurricanes with our tornado and hurricane damage repair services. 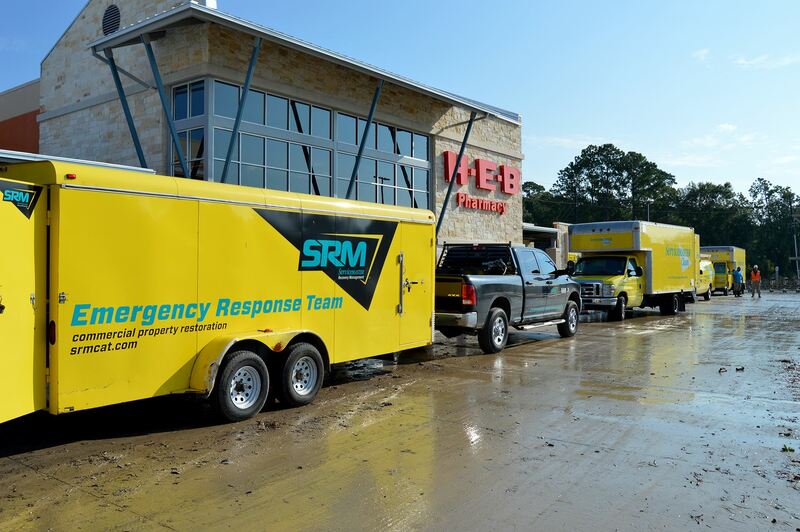 From water damage to reconstruction, ServiceMaster Restoration and Cleaning’s professionals are trained and experienced in restoring businesses that have suffered damage from a hurricane. Our technicians will address water damage to your property, conduct structural repairs on the building, and remove all cases of mold growth. We extract water from your business, restore the damage, and then clean and sanitize the affected areas to ensure the space has been restored to a quality, healthy working space. Our technicians will also board-up and tarp your property to secure it and take care of any necessary reconstruction work. This week marks one year since Hurricane Harvey devastated Houston, flooding homes and drowning out entire neighborhoods. 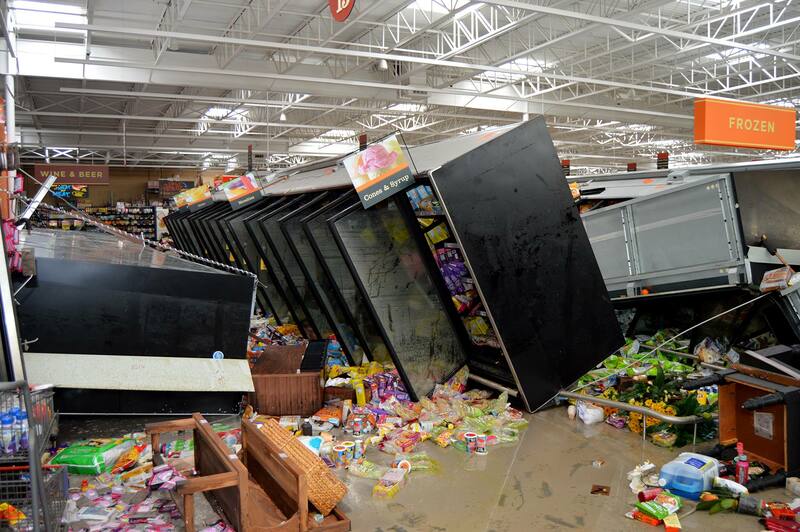 The area is still recovering from the extensive damage. Thank you to The Hurricane Harvey Relief Fund and all organizations and people who supported the restoration efforts. Check out some of our articles with information about Harvey and hurricane preparedness. Mold removal is a complex, and sometimes costly process that requires extensive training, experience, and specialized tools and equipment. In the state of Texas, mold remediation service providers must be licensed by the Texas DSHS and adhere to the standards of mold removal written in House Bill 329. It is very important that you make sure to choose a mold removal company that is properly licensed and equipped to provide effective results. Remember, you aren’t just protecting your property with mold removal, but the health of you and your family as well. 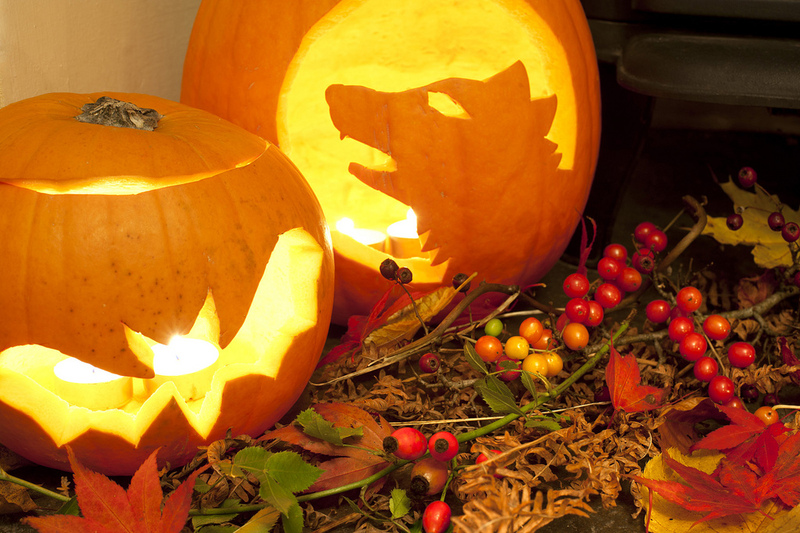 To help you enjoy a safer holiday, follow these important Halloween safety tips from the experts at ServiceMaster Restore.